Four sculptures for Etsy in four weeks - What next? As promised in January, I decided to start selling my Lego sprite sculptures on Etsy after procrastinating for so long. 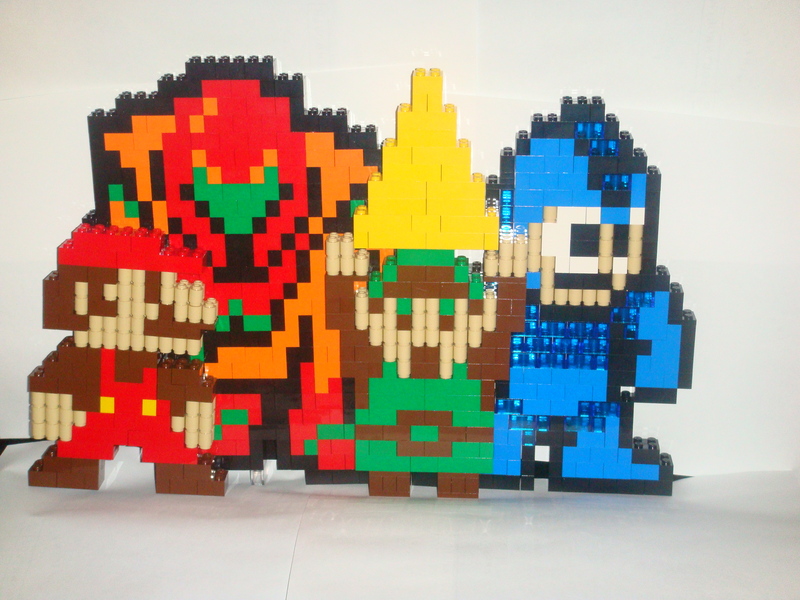 I put up one sculpture a week for four weeks for sale and now Mario, Link, Samus Aran and Mega Man are available in my Etsy store. From here, the question is what comes next. While I have some ideas in mind, from limited editions to one off sculptures to mosaics, I’m curious what others would like to see created. Are there any video game characters you would be interested in seeing made? Are there any you are dying to have in your own home that I can help happen? Should I expand beyond video game characters to others? That is the big question. If you want to help guide my future sculptures, let me know via Twitter, E-mail, or comment below. And if you’d like to see other things done, like should I record or livestream any of my building, let me know as well!